People always ask me, “What is the best tasting tomato variety?” My answer is simple: the one grown closest to your kitchen counter. 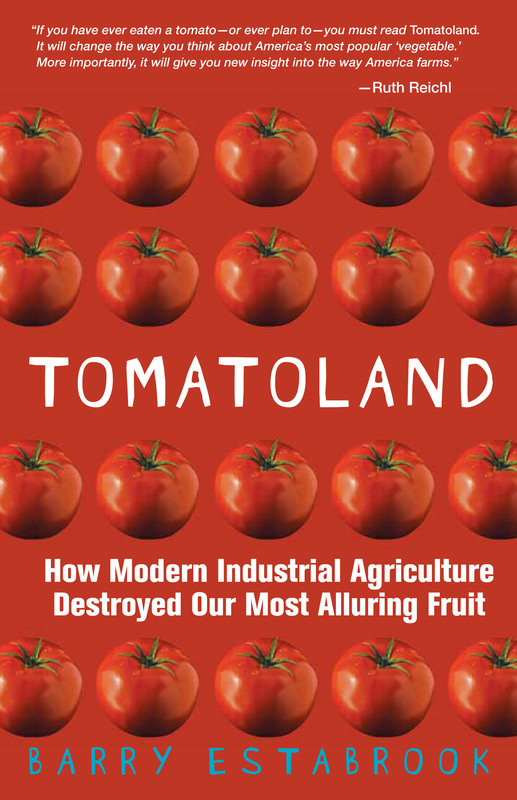 But until I met the dedicated crew at the Treasure Valley Food Coalition in Boise, Idaho, in September, I never realized that that the simple act of tending a few tomatoes in your backyard or on your balcony might also be the best way to break agribusiness’s stranglehold on our food system. 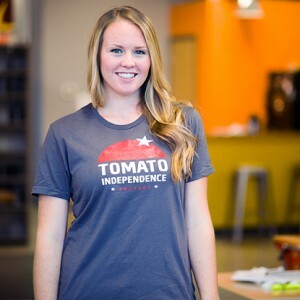 Disgusted with the “flavorless, rock-hard, industrially grown tomatoes in grocery stores” the coalition launched the Tomato Independence Project last spring as a way to take on the “industrial tomato complex” by encouraging residents in southwestern Idaho to grow their own. Workshops were held. Seedlings sold. And great tasting tomatoes harvested. 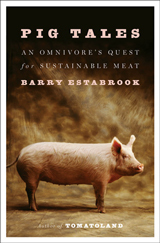 The coalition’s larger goal is to support local farmers and to promote a vibrant food economy in the Boise area. 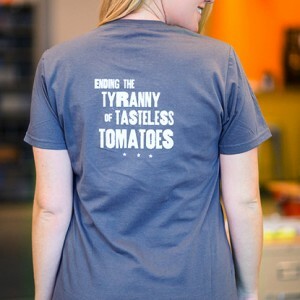 But the group also wants to help folks in the rest of the country break the “tyranny of tasteless tomatoes.” For information on how to bring the Tomato Independence Project to your area email treasurevalleyfoodcoalition@gmail.com. And, if you’re looking for the perfect gift for that hard-to-please tomato geek on your list, what could be better than a Tomato Independence t-shirt? Proceeds go to a great cause. And as the owner of one myself, I assure you it will be worn proudly. It’s also quite slimming.